Scheduled cruises from Hämeenlinna, Tampere, Ruovesi and Virrat. We offer scheduled cruises on a regular basis on Lake Pyhäjärvi and Lake Näsijärvi between a number of destinations. 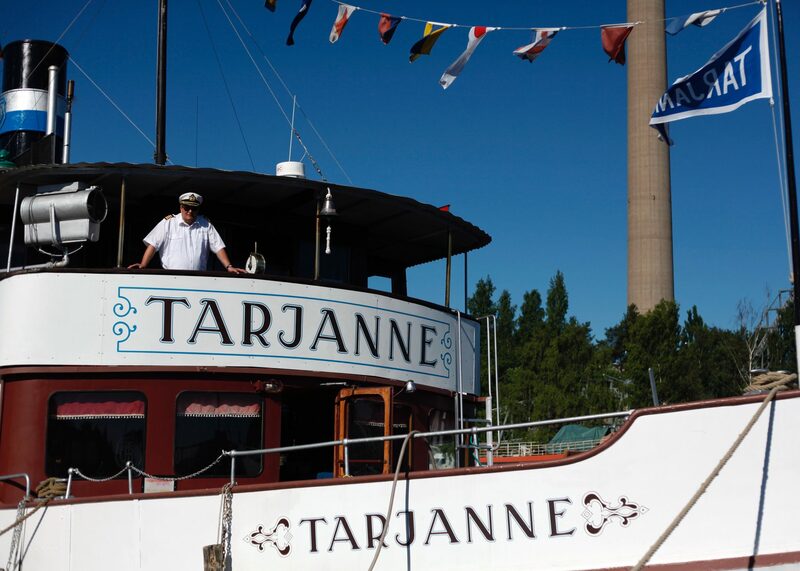 The historical steamboat Tarjanne cruises on Lake Näsijärvi, departing from Mustalahti Harbour on its way to Virrat. On Lake Pyhäjärvi, you can cruise to Viikinsaari, Laukon kartano, and to Hämeenlinna, stopping at various harbours along the way. Hop aboard on your own or take a bike, a pet, a friend or, if you wish, all of those things along with you! You can buy cruise tickets at the latest 1 day before the departure date from our online shop. Scheduled cruises are also available as charter cruises or as tailored packages, according to your preferences.